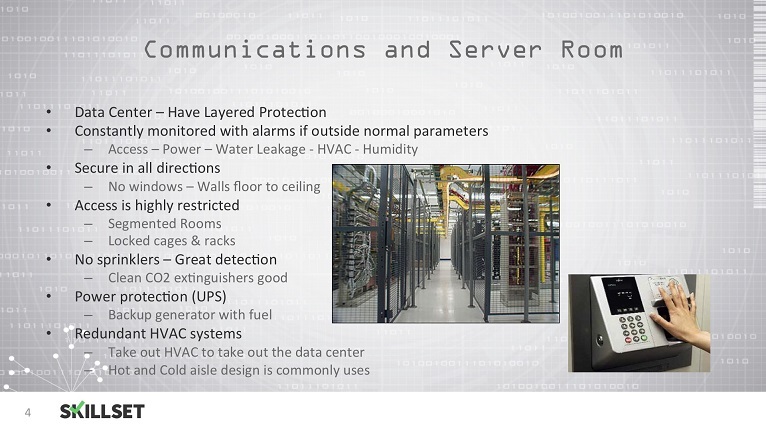 The physical security concepts specifically pertaining to server rooms. 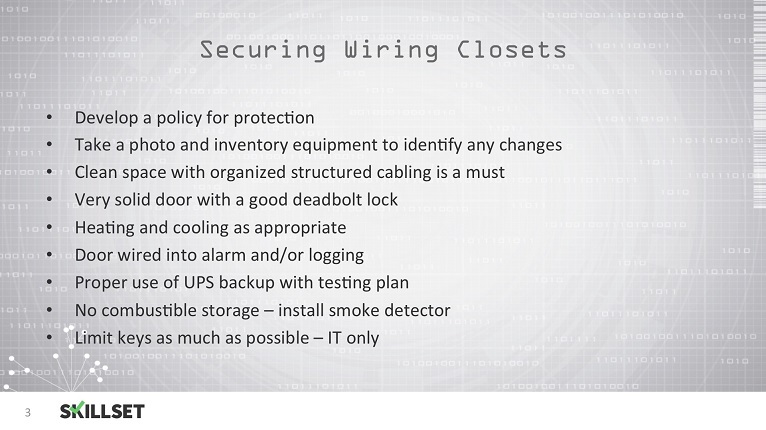 What are the authentication methods for unlocking the server room's door? Are they effective? Are there windows or tunnels that an attacker can use to enter the server room in an unintended way? Try a quiz in Data Center Physical Security FOR FREE! A __________ used in the data center contains compressed air. Water fills the pipe only when a fire is detected. Fire and smoke detection systems must be calibrated for temperature and humidity to accommodate hardware operating requirements. Which type of detection system reacts to charge particles in smoke? 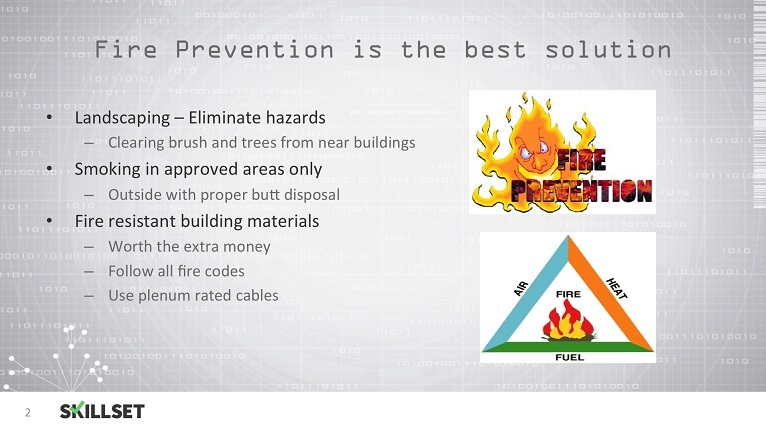 Which type of fire suppression system would be best if rapid fire spread is a concern? 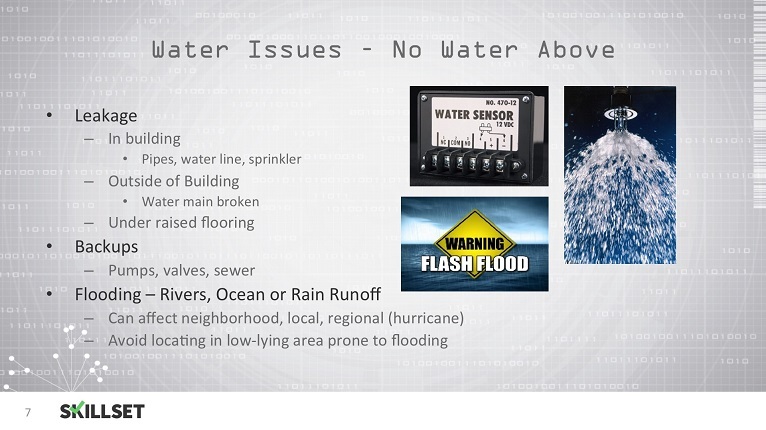 If there is too much moisture in your data center, what problem do you expect? Drop ceilings are recommended in areas that are next to server rooms or in data centers. A smoke detector that is designed specifically to detect smoke before it is visible is called ____________. All of these are responsibilities of data center security staff EXCEPT? True or False, the major cause of fires in data centers is caused by overloaded electrical distribution outlets? What class of portable extinguisher is safe to use on electrical fires?